Room dividers are the perfect solution for dividing space temporarily. 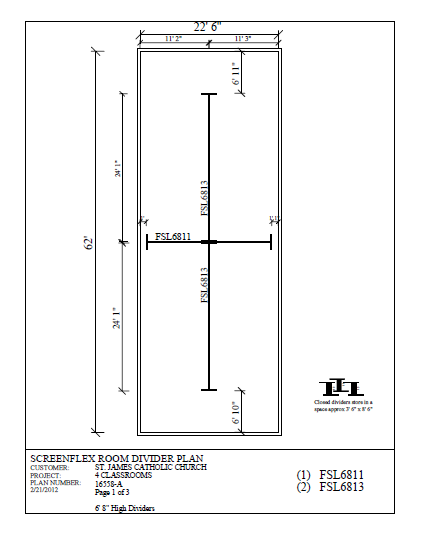 Our Standard portable walls come in six heights and six lengths. 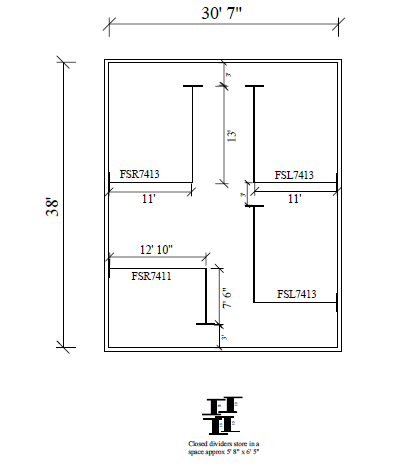 Any combination of these dimensions can be created to tailor make the rooms you desire. 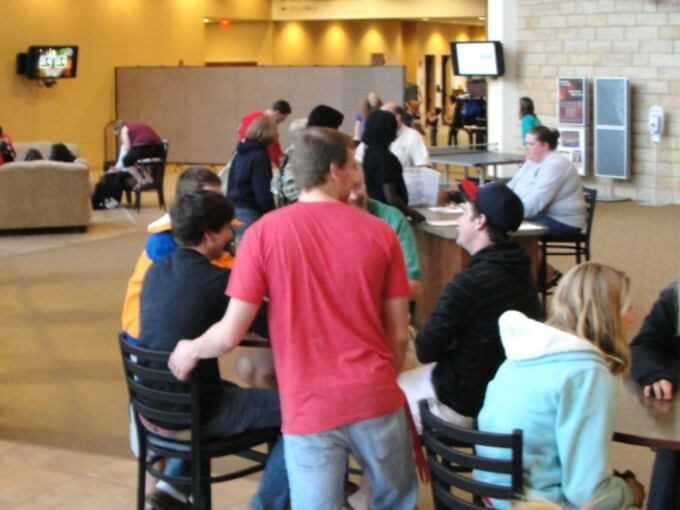 See how they can be used in your fellowship hall or gymnasium….anywhere you need to divide space. 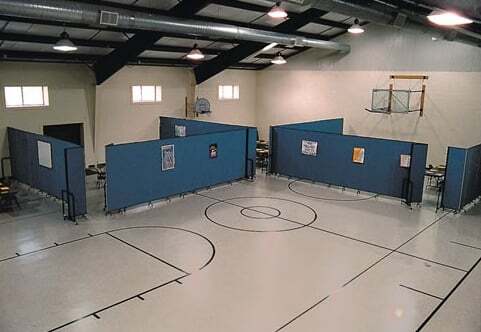 Portable walls work in your fellowship hall by creating 1, 2 or many temporary rooms in minutes. When you need to use the entire room, our dividers close up easily and fit into a small space about 2′ x 3′. Multiple room dividers can be nested together to save even more space when folded for storage. Dividers are simple to use allowing just one person to pull dividers into place. Our dividers have wheels that are safe for your gymnasium floor. Screenflex partitions come with non-marking self-leveling casters which can glide effortlessly on softer floors like the ones in your gymnasium. They are safe on other soft surfaces as well such as most carpeted areas. 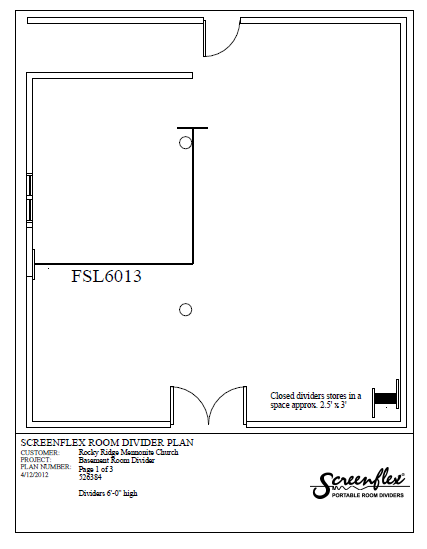 We also offer a free space planning service so you can accurately plan your rooms according to your needs. 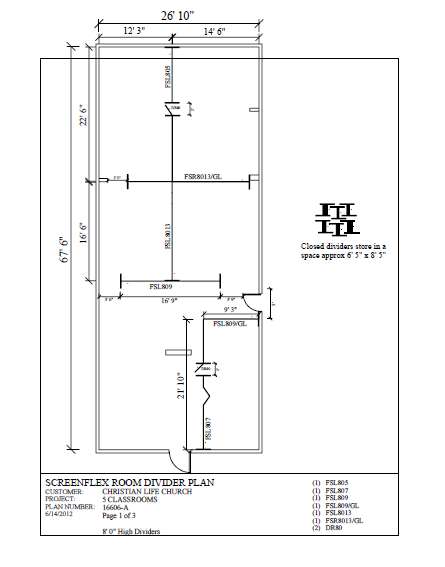 Take a look at a few floor plans that churches are using in their facility. “The delivery went perfectly. We are using the extra Room Divider and truly love it; as it hides all of our chairs and other junk in the Fellowship Hall. We’ve been using all of the Room Dividers to hide extra chairs, a piano and a cupboard for dishes that were stored in our Fellowship Hall. We haven’t had a chance to use it for any thing else, but I’m sure we could use it for an extra Sunday School room if we ever need one”.